Multi-purpose moisturiser made from the finest quality organic and fairly traded coconut oil. Packed with natural nutrients 100% organic raw virgin coconut oil and nothing else. A brilliant all over moisturiser for babies and all the family, each large pot contains the goodness from 3 happy ethically grown coconuts. 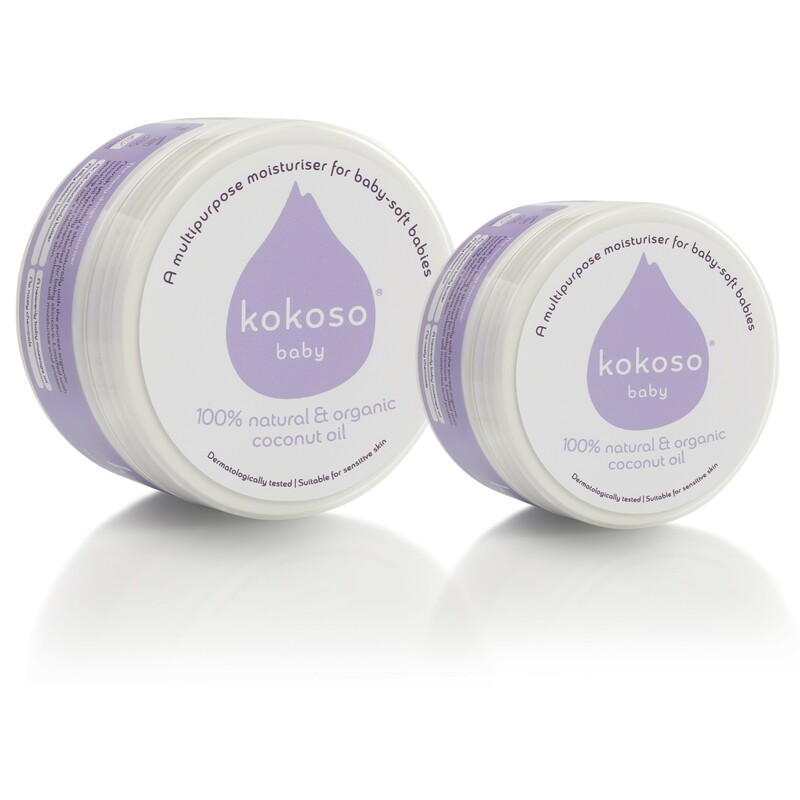 Kokoso Baby has been dermatologically tested and is certified safe for even the most sensitive skin. Coconut oil is fantastic for dry skin and can help with eczema. If you or your baby suffer from dry skin you can use this lovely coconut oil as a regular moisturiser, use it throughout the day on bottoms or all over. Kokoso has been awarded a Mumsnet best award for best nappy cream, it's a fabulous natural nappy cream. 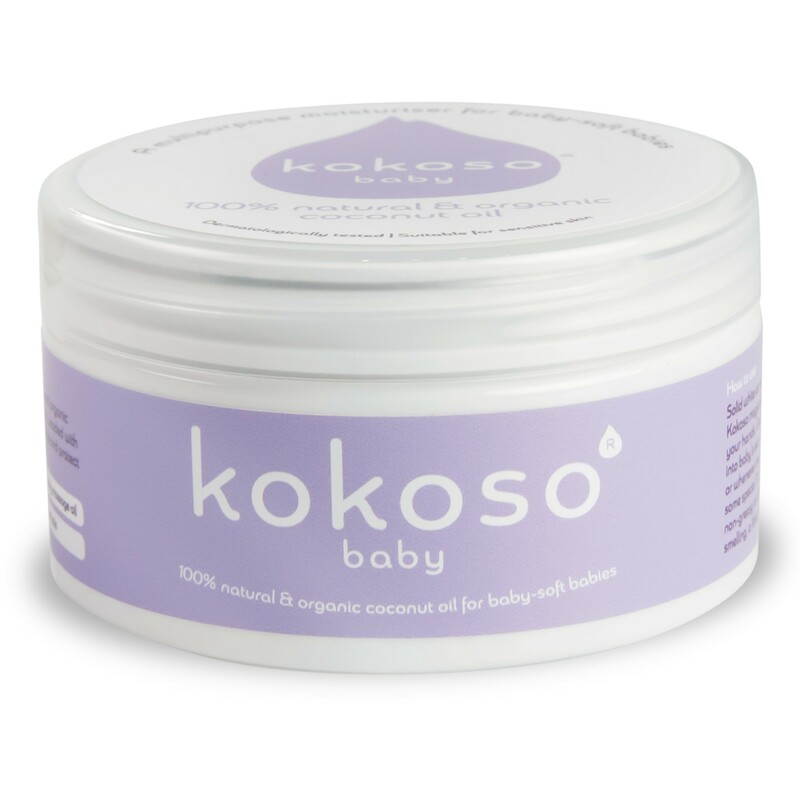 Use Kokoso coconut oil on dry skin areas, sore creases, flaky skin, cradle cap and eczema prone skin. It also makes a wonderful baby massage oil, melt a little in your hands and massge your baby to nourish their skin and your hands too. 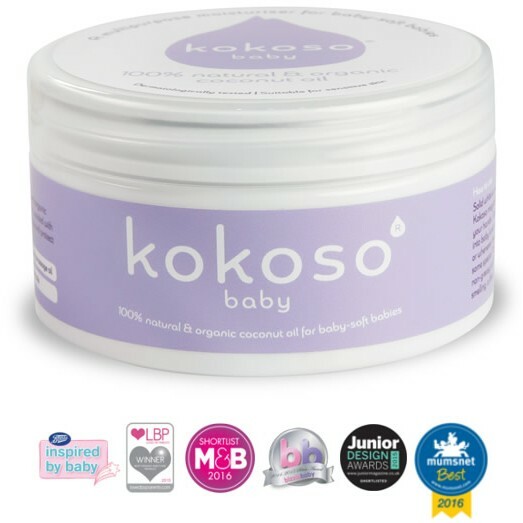 Kokoso make their coconut oil from happy coconuts grown on an organic family run farm in Thailand. They extract the oil without the use of heat, it's not bleached, deodorised, refined and no chemicals are added or used in the process. Simply natural, raw, organic, pressed coconut oil. This careful process creates a less dense light oil, you can tell the difference as it melts in your hands and it's great for babies delicate skin. Coconut oil is a natural oil that melts at around 24 degrees. This means it will turn to liquid in warm places or on a sunny day, don't worry though, it's perfectly safe to use and will solidify again when it cools down. Just makes sure the lid is always on properly.